Oral health is a frequently neglected aspect of general (public) health. The prevalence of dementia is increasing worldwide. It is increasingly evident that because those who are demented frequently have difficulty in communicating with their carers (caretakers), they often suffer unnecessarily. This resolution seeks to address one aspect of this problem, which relates to poor oral health in the elderly. The health status of elders in societies globally is best measured in terms of function rather than pathology. Good health and successful aging is defined in terms of the ability to function autonomously, within a given social setting. If socially and intellectually active, older persons may be considered healthy, even in the presence of chronic disease. Health care of the elderly includes helping the individual maintain adaptive behavior, promoting wellness, providing care during acute and long-term illness, and furnishing care and comfort in dying. The reality of an increasing population susceptible to a chronic or debilitating disease must however be faced. The most common chronic conditions affecting older adults around the world are cardiovascular disease, cancer, diabetes, pulmonary disease, Alzheimer’s disease and psychiatric disorders, most commonly depression and dementia. A recent analysis of long-term care needs for individuals with dementia1 estimates that globally, 13% of people aged 60 years or more require long-term care and that half of these will have dementia. In 2010, worldwide there were an estimated 35.6 million people with dementia. With expected increases in life expectancy in all countries, but especially in developing economies such as China and India, this number of dementia suffers has been estimated to rise to 115.4 million by 2050. The cost of this condition is currently over US$ 600 billion or around 1% of global GDP. A number of studies have indicated that, when matched for socio-economic status, age and gender, elders with dementia have poorer oral health than others in the community[3,4,5,6]. It has also been suggested that poor oral health may be a risk factor for dementia[7,8]. Typical problems include: xerostomia, untreated dental caries and periodontal diseases, mouth ulcers, loose dentures and halitosis. Individuals with dementia are often unable to communicate that they have painful or uncomfortable mouths. They are frequently taking medication that has the side effect of causing xerostomia, which in turn can lead to increased risk of candidal infections and dental caries, resulting in soreness and pain. Individuals with dementia frequently either forget to perform good daily oral hygiene or are unable to perform it to an adequate standard. They therefore need assistance in maintaining a good level of oral hygiene. Unfortunately, whether they are living at home or in residential care homes, family members/carers are often unaware of this need and/or have not been trained to provide help[9,10]. Individuals with dementia have a right to good oral health. Oral health problems can and do impact upon their general health and quality of life, causing pain and disrupting their lives. Oral health is an integral part of their overall wellbeing and is essential for comfortable eating, speech, socializing and quality of life. A designated provider and coordinator of dental care so as to be able to access regular oral health checks from suitably trained dental professionals. Good oral hygiene every day, provided where necessary by trained caretakers. Therapy to prevent, or minimize, the effects of xerostomia (dry mouth), dental caries (tooth decay), periodontal (gum) diseases, oral ulceration. A healthy diet with minimal sugar content and, where necessary, treatment with suitable fluoride products to prevent dental caries. Through good oral health all individuals with dementia will have an opportunity to live more comfortably with dignity. We would like to thank you for the opportunity to speak at this honourable assembly. The following statement has been jointly elaborated with the oral health working group of the WFPHA and the International Council of Nurses. multidisciplinary national public health associations with an oral health working group. daily living (ADLs). Some of them have physical as well as cognitive impairment, some presenting with Dementia, in its differing forms. Frail and multimorbid elders who are dependent for ADLs contribute to the NCD problem. Unfortunately, as the cognitive impairment/dementia develops, dementia sufferers find it more difficult to communicate with their carers and to cope with day to day personal hygiene. 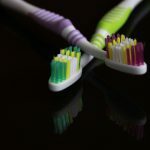 The WFPHA is aware that one overlooked problem with this group relates to poor oral hygiene. Suffers are unable to clean their mouths or forget to do so with a major effect on their quality of life and health status. 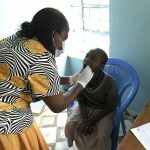 These problems can be prevented simply and at very low cost by ensuring that health systems and health education allow for those who care for the frail elders and dementia sufferers to provide daily oral hygiene (mouth cleaning) for their patients and to recognise oral problems. The WFPHA therefore urges that particular attention is paid to addressing this problem at all levels, with the active participation of national public health associations and allied groups, in a national and global response to raising awareness of the problem and ensuring that carers are trained to prevent it and do so. Alzheimer’s Disease International. World Alzheimer Report 2013. at www.alz.co.uk/research/worldreport 2013. viewed on 15 December 2013. Alzheimer’s Disease International. Dementia Statistics 2010. at www.alz.co.uk/ viewed on 15 December 2013. Ribeiro GR, Costa Jl, Ambrosano GM, Garcia RC. (2012) Oral health of the elderly with Alzheimer’s disease. Oral Surgery, Oral Medicine, Oral Pathology, Oral Radiography; 114: 338 – 343. Chalmers J, Pearson A. (2005) Oral hygiene care for residents with dementia: a literature review. Journal of Advanced Nursing; 54: 410 – 419. Rejnefelt I, Andersson P, Renvert S. (2006) Oral health status in individuals with dementia living in special facilities. International Journal of Dental Health; 4: 67 – 71. Syrjälä AM, Ylöstalo P, Rioppi P, Komulainen K, Hartikainen S, Sulkava R, Knuuttila M. (2012) Dementia and oral health among subjects aged 75 years or older. Gerodontolgy; 29 : 36-42. Noble JM, Scarmeas N, Papapanou PN. (2013) Poor oral health as a chronic modifiable dementia risk factor: review of the literature. Current Neurological Neuroscience Reports; 13: 384. Paganini-Hill A, White SC, Atchinson KA. (2012) Dentition, dental health habits, and dementia: the Leisure World Cohort Study. Journal of American Geriatric Society; 60: 1556 – 1563. Miegel K, Wachtel T. (2009) Improving the oral health of older people in long-term residential care: a review of the literature. International Journal of Older People Nursing; 4: 97-113. Sweeney MP, Williams C, Kennedy C, MacPherson LMD, Turner S, Bagg J. (2007) Oral Health Care and status of elderly care home residents in Glasgow. Community Dental Health; 24: 37 -42. You may download the PDF versions of the resolution and the statement here.